LOS ANGELES – America loves an underdog and that story is playing out at Lincoln, the other American luxury brand. Lincoln’s crosstown rival Cadillac, the luxury arm of General Motors, has been stealing most of the headlines in recent years as it tries to challenge premium German brands dominating the U.S. market. But whereas Cadillac appears to be sputtering a bit with nearly all its chips laid on the lackluster car segment, Lincoln anted up the Navigator large luxury SUV in January and an all-new Aviator midsize CUV, unveiled here, comes this summer. The Navigator earned North American Truck of the Year as well Wards 10 Best Interiors and 10 Best UX awards. Early looks at the Aviator suggest it will be showered with awards, as well. 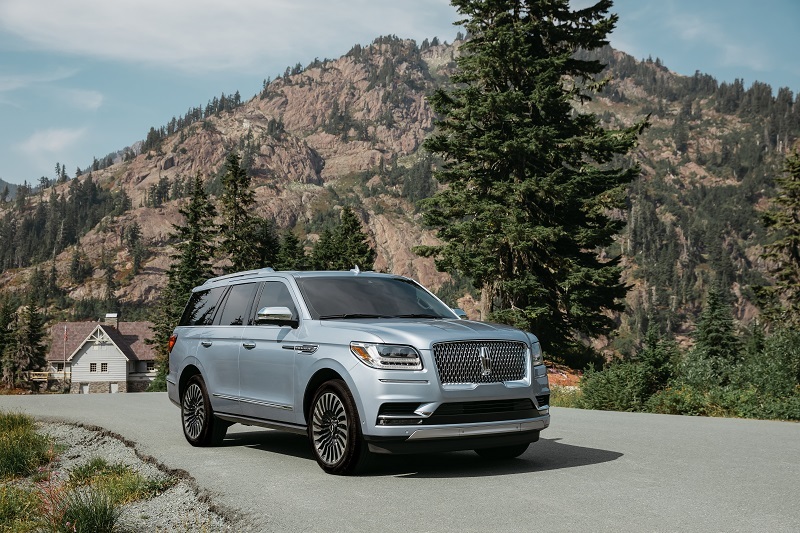 The Navigator and Aviator are not just a 1-2 punch, they are a pair of pile drivers into two of the most desirable segments in the U.S. Large luxury SUV is highly aspirational, while midsize CUV is the largest by volume. A redesigned Continental large sedan came two years ago and, while well-received by critics, it suffers the same snub as Cadillac’s cars because consumers today are far more interested in trucks and crossovers. For either brand, the road back is steep. BMW sales so far this year are up 2.03% on 248,327 units, according to Wards Intelligence, while Mercedes-Benz deliveries are down 4.6% but lead luxury makers on volume at 285,133 through October. Cadillac sales are off 1.11% to an estimated 126,353 units while Lincoln, despite the Navigator, has seen sales tumble 9.58% to 82,854. That sort of demand is far removed from 1990, when Lincoln vehicles drew 231,660 takers. 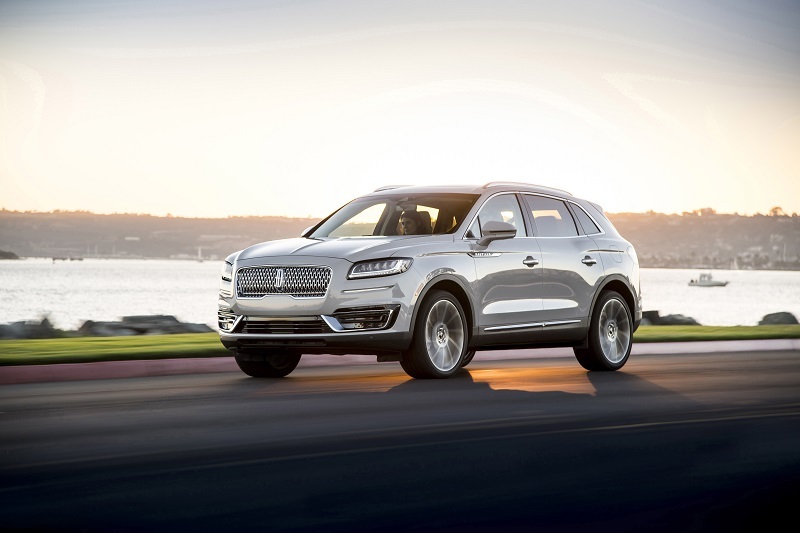 But the Navigator and Aviator – the former with 450-hp V-6 and the latter with an optional plug-in hybrid powertrain in addition to a high-feature V-6 – are the best shot Lincoln has had at regaining a modicum of relevance in decades. The Aviator, especially, gives Lincoln an opportunity for the younger, higher-income buyer luxury brands crave. It also doubles down on the brand’s new “Quiet Flight” brand concept meant to suggest beauty, gliding and a crafted sanctuary. “The Aviator buyer is unique in the Lincoln portfolio,” says Joy Falotico, group vice president and chief marketing officer at Lincoln. “They are a little younger – think 34 years old to mid-40s, a younger cohort – and it is the biggest segment in the industry at 600,000 (annual units). The go-to-market strategy between the two vehicles looks smart, too. The Navigator is the head-turner, while the Aviator is the volume play. Falotico says the brand already is seeing bounce from the Navigator, which tops $90,000 fully blinged. Rolling down the street it is as regal as JFK’s presidential yacht. Lincoln also has a redesigned MKX small CUV arriving at dealers. Renamed the Nautilus, it is the largest-volume Lincoln and fills a role as an entry-level product until a smaller crossover presumably arrives shortly down the road. Its redesign also gives the brand a consistent look and nomenclature through its lineup. Falotico thinks the new Navigator could do for the Lincoln brand what the Escalade did for Cadillac years ago. It would be an ironic twist if Navigator could displace Escalade as the leader in the large luxury SUV segment, because it created the category in 1997. But Ford did not keep it fresh and the Escalade, launched a year later in response, went on to dominate and even with the redesigned Navigator this year it still outsells the Lincoln 2-1. Falotico says it adds up to a new brand positioning Lincoln must take advantage of to differentiate itself, using the new cars to illustrate the brand’s bespoke side while subtly acknowledging its American roots. Nautilus redo gives Lincoln lineup styling, nomenclature consistency.